What are the meanings to each color rose? Red: Red Roses are one of the most flowers to send for many holidays including Valentine's Day, anniversaries and birthdays. When you have a red rose bouquet delivered there are a few meanings to the flower including I Love You, I respect you and you're beautiful. 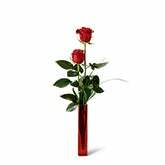 If you are looking for the perfect floral gift for your significant other or a dear friend, red roses are a good choice. Pink: Pink roses are often given between friends or those in a new relationship. When they are delivered they mean I appreciate you, you make me happy or that you adore them. 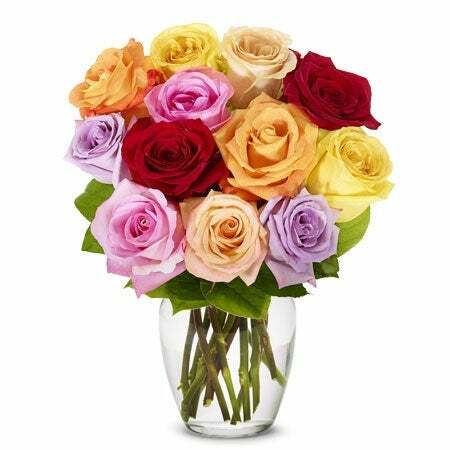 Hot pink rose bouquets have become a popular gift for birthdays and Mother's Day. Purple: Purple roses are growing in popularity every day. A unique rose gift to send to anyone in your life. Delivered the meaning connected to a purple rose bouquet is the feeling of enchantment. 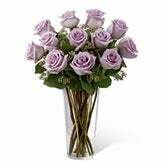 Arrangements including purple roses have become a hot gift to send for Valentines. White: White roses are a beautiful gift to send for anniversaries, to show your sympathy or just because. With meanings including innocence, I honor you and let us remember. 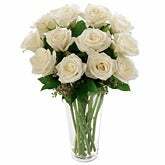 White roses are also a great addition to mixed flower arrangements. Shop all of Send Flowers' roses for delivery today to find a rose bouquet with the perfect meaning for today's occasion.